Perry Homes has just put up their sales trailer and are starting Pre-sales at Lilyana. Adding to Lilyanas list of luxury builders there is Perry Homes, Highland Homes, David Weekley Homes, Village Builders and American Legend Homes. Lilyana is a huge masterplanned development and still in its first phase. Good question. When comparing the two on the “PID/MUD” issue, Lilyana is only a PID, so in the long run it will go away. As for Mustang Lakes, they have a MUD and that stays attached to the house forever. 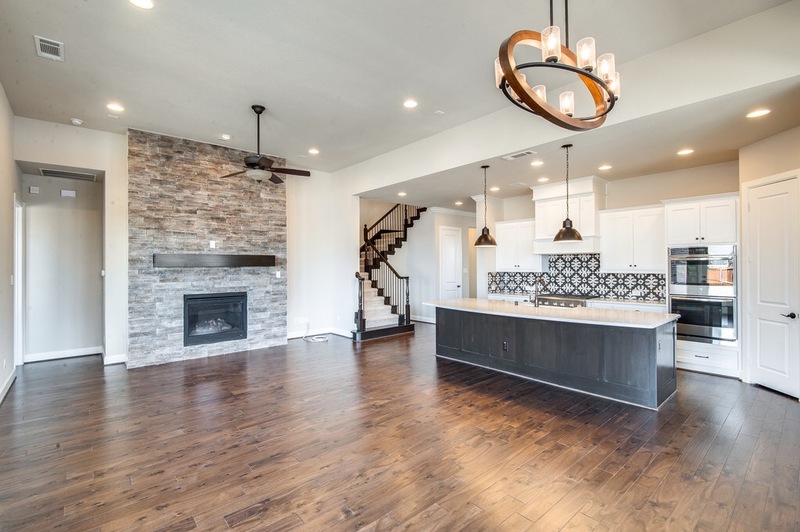 Enough about PID/MUD talk, Perry Homes is from Houston and has started building here in DFW under the Britton Homes name and now bringing in Perry Homes. 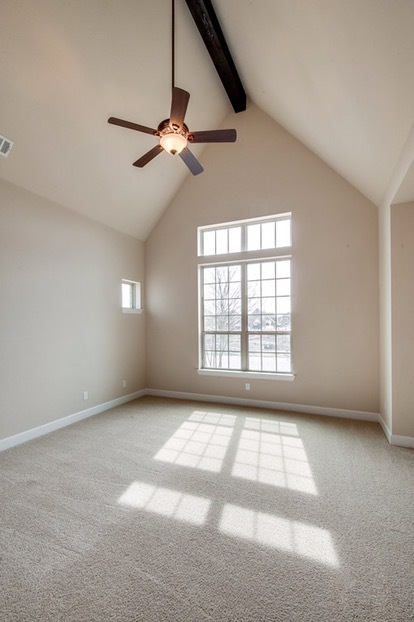 Perry has over 300 floorplans that you can build, which is absolutely a crazy feat just to make it through them. 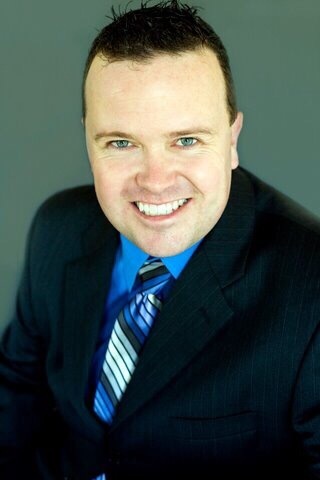 Perry Homes has inventory homes already planned and are building in the 60 foot wide lots with David Weekley. In the 50’s you have Highland and Village Builders and in the 74’s you have American Legend and Village Builders. All 5 builders are top notch quality and that will make for an absolutely gorgeous community. Side note: American Legend has a 3,400 square foot 1 story model that is laid out so well for one floor. See below. 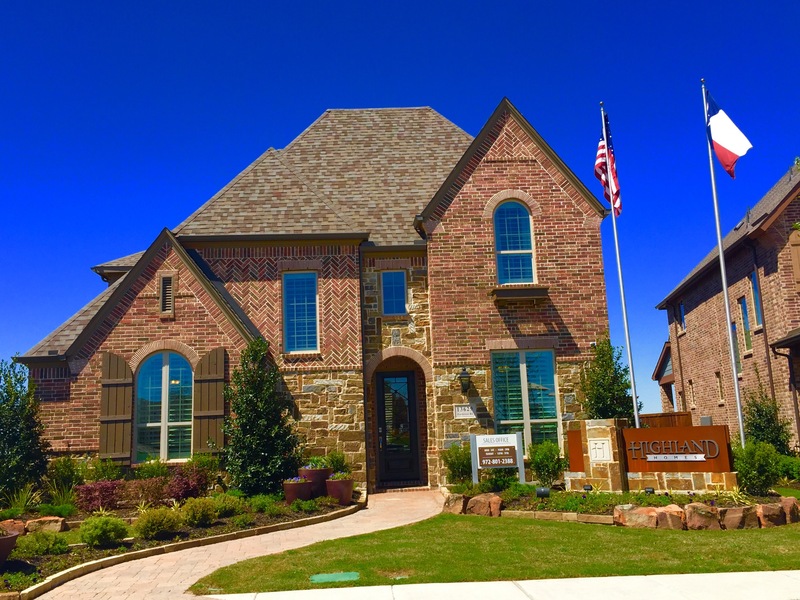 Major Price Decreases at Prairie View in Frisco as Highland Homes and David Weekley Homes Close-out! 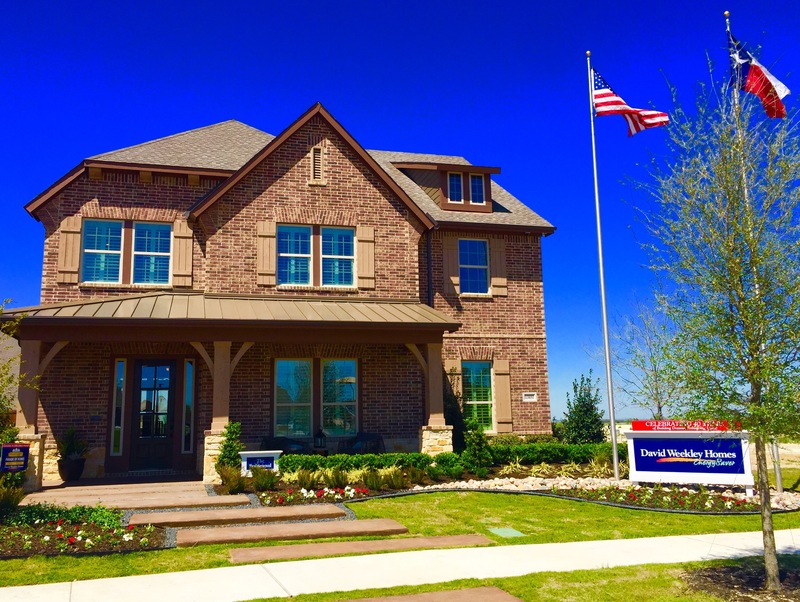 Highland Homes and David Weekley Homes begin Close-out at Prairie View in Frisco. 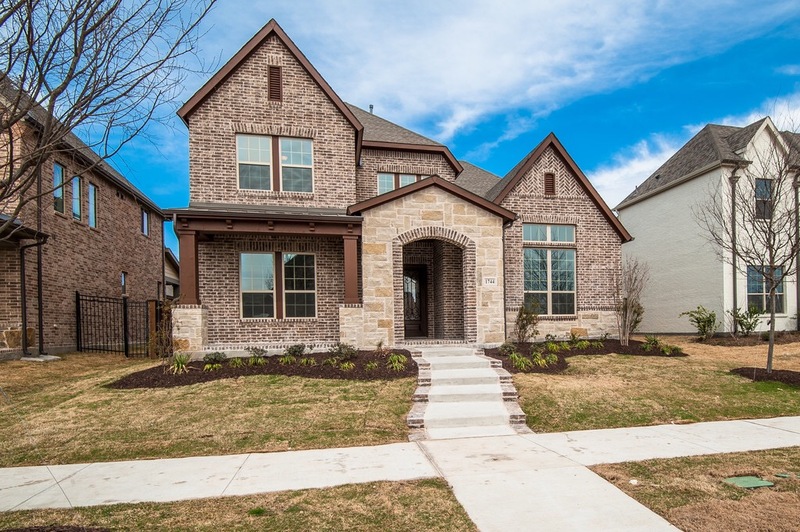 David Weekley, Highland and American Legend Homes currently build at Prairie View. 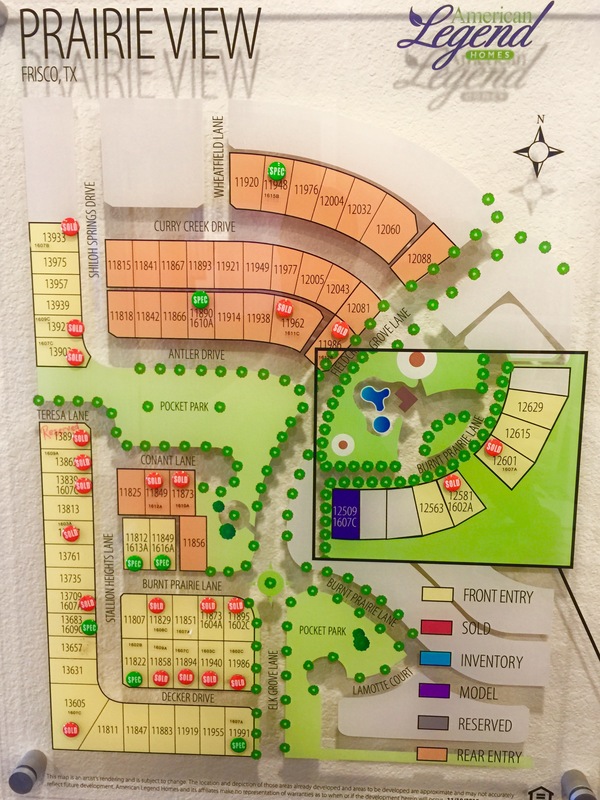 Highland has 7 Inventory homes left with 5 available lots. 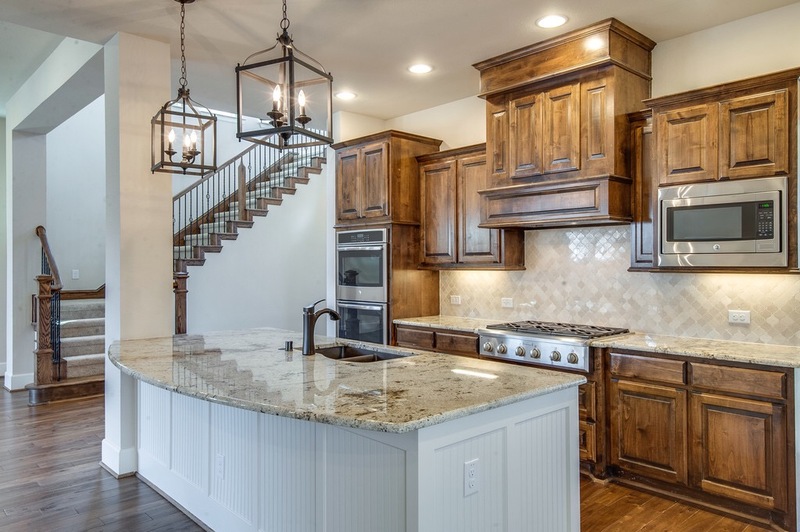 Highland Homes has discounted their inventory homes from $6,000 up to $22,000! David Weekley has 5 inventory homes and has taken $25,000 off 3 that range from complete to being ready end of August and September. 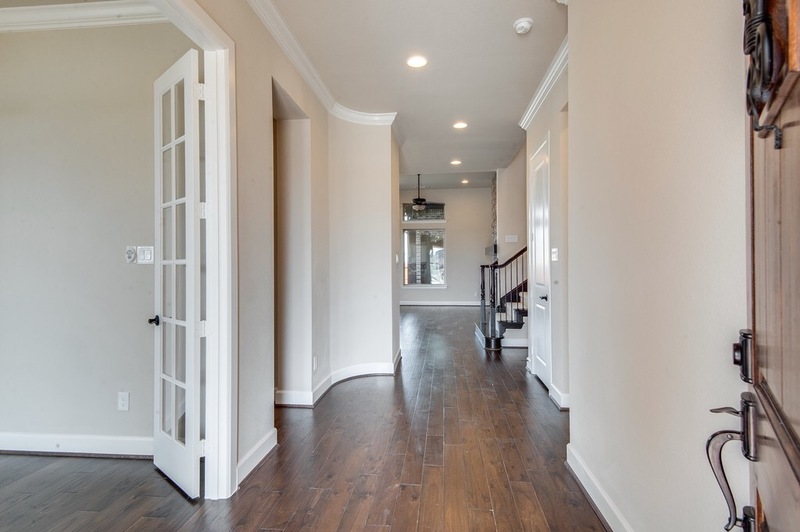 Purchasing a new home in the low $400’s in Frisco is very hard to find, but can be done today at Prairie View. And possibly UNDER $400k if you let me negotiate the opportunity and take advantage of my rebate! 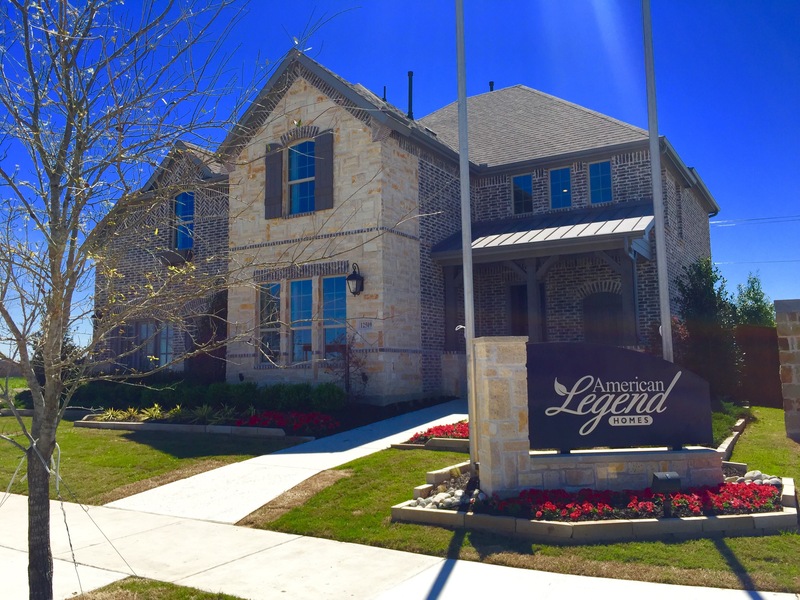 American Legend has 6 inventory homes currently and will be taking the remaining Highland and David Weekley lots in the last phase. They currently offer a $20,000 incentive for new buyers if you choose a lot and plan to build. Wow! 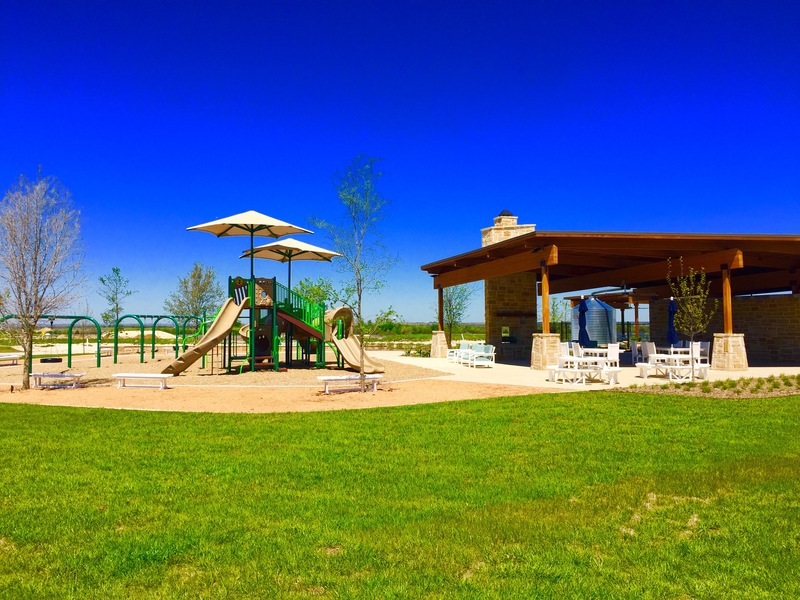 Grand Opening of 2,500 homesites at Lakewood at Brookhollow in Prosper! Lakewood at Brookhollow in Prosper has been in the works for too long. 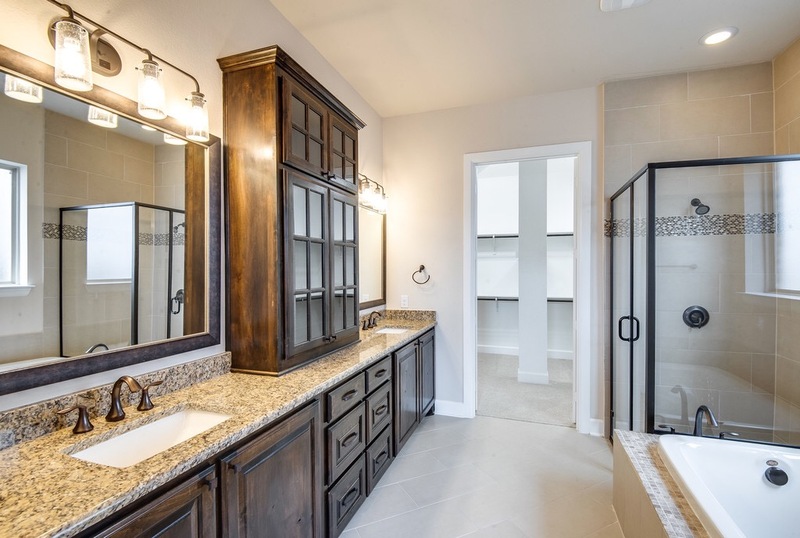 But now, the first phase of 650 homesites has been released to Darling Homes, Britton Homes and David Weekley Homes. 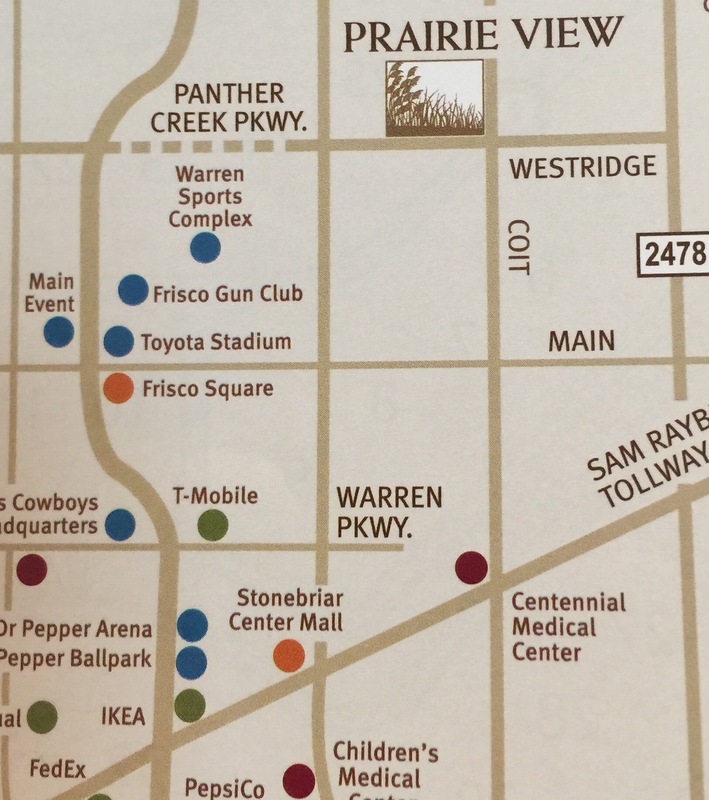 Most of the luxury new home communities, like Whitley Place and Mustang Lakes, are very far North when looking at a map of Prosper. Not this one! Lakewood at Brookhollow’s entrances are off of 380 and Coit! Fantastic location to be able to get to places quickly. 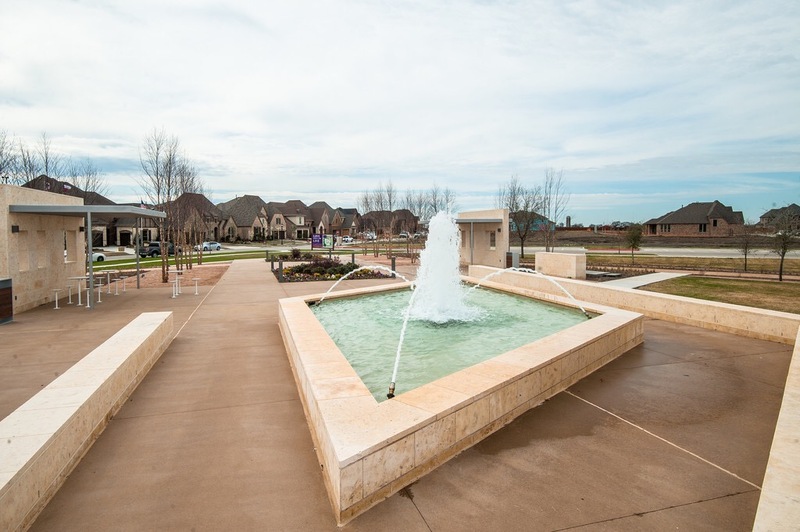 Formerly this piece of land was referred to as “Meadowbrook,” the entire Lakewood development includes 645 single family residences at build out and represents the first phase of the storied Brookhollow master-planned community envisioned by LandPlan. The Lakewood development under development today is 247 Home sites built by Darling Homes, Britton Homes and David Weekley Homes. Inspired by the infamous North Dallas community, Lakewood at Prosper will include the dedication of a new 22.8 acre public park, a private amenity Center with a resort style pool, clubhouse, formal gardens, bronze sculptures, a fishing lake, miles of hike and bike trails, future sports practice fields and stone screening walls throughout. The developer has planned for a stunning entry with lush landscape and the focal point plans to be a 25 foot entry tower that is currently under construction. The amenity center will be towards the middle of the community with a fitness room and a resort style pool and covered patio built by Gold Medal Pools. Directly in front of the community at Coit and Highway 380, there is a commercial development currently with a CVS and, just announced, a Market Street will be the other Big name anchors. Those two will bring other great retail options to the tract with 10 other pad sites currently available. The three builders have done a fantastic job with their models. Britton Homes really shows a very modern appeal! 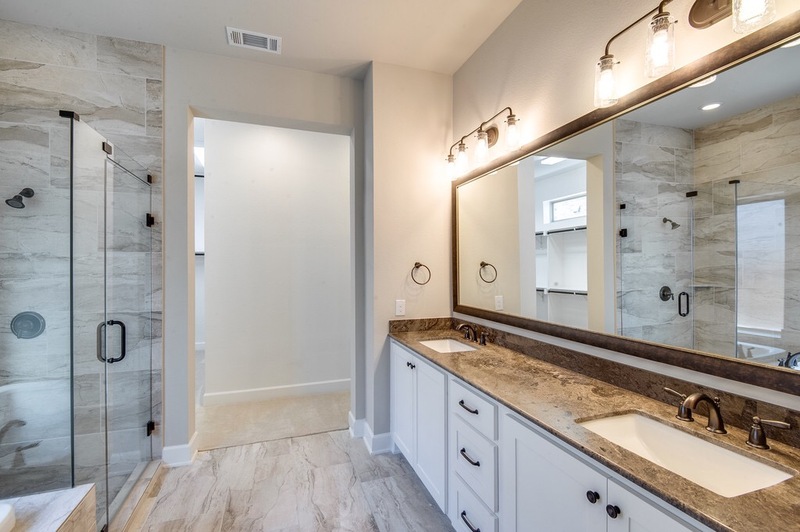 They are new to DFW, but as the luxury series of Perry Homes from Houston, their style easily makes them stand out from the rest. 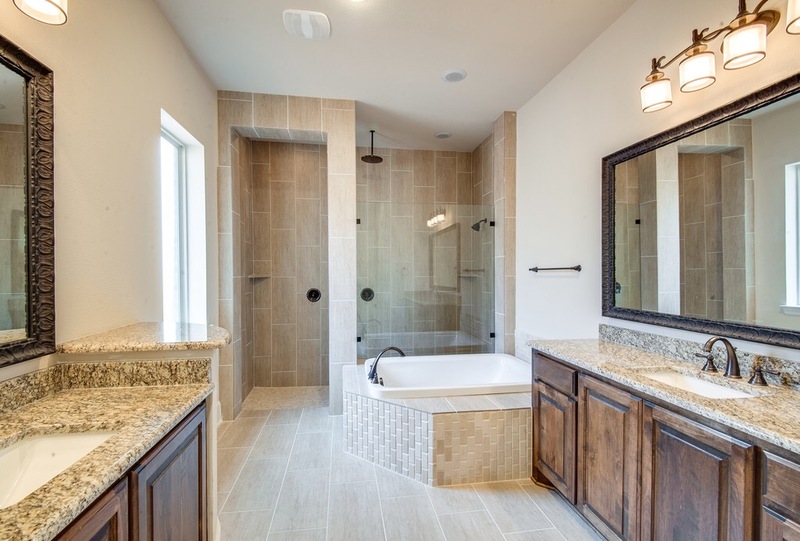 Britton homes starts at around 2,969 square feet and can go up to 4,025 with 5 bedrooms and 5.5 baths! 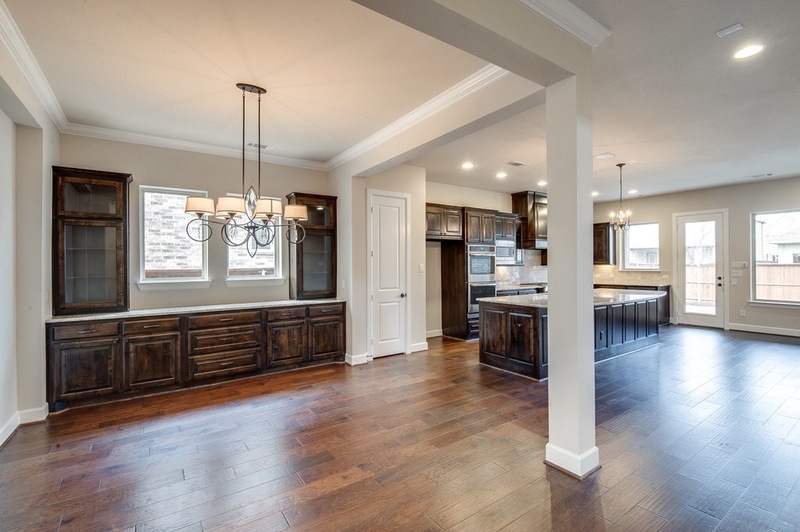 David Weekley homes really gives you the “bang” for your “buck!” They start at 2,573 square feet and at $381,990 (as of today). 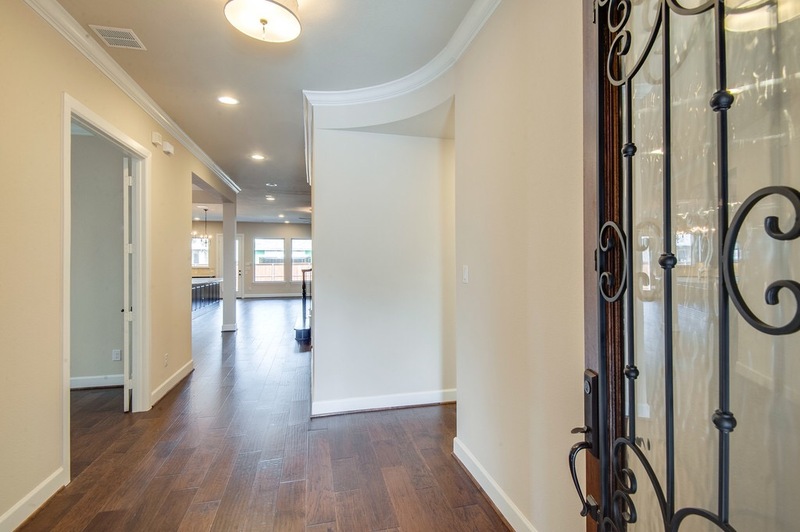 The model ,called the Pinecrest, has an incredibly open design throughout the entire home. The plan really flows well and the secondary bedrooms definitely are bigger than others I walked through. 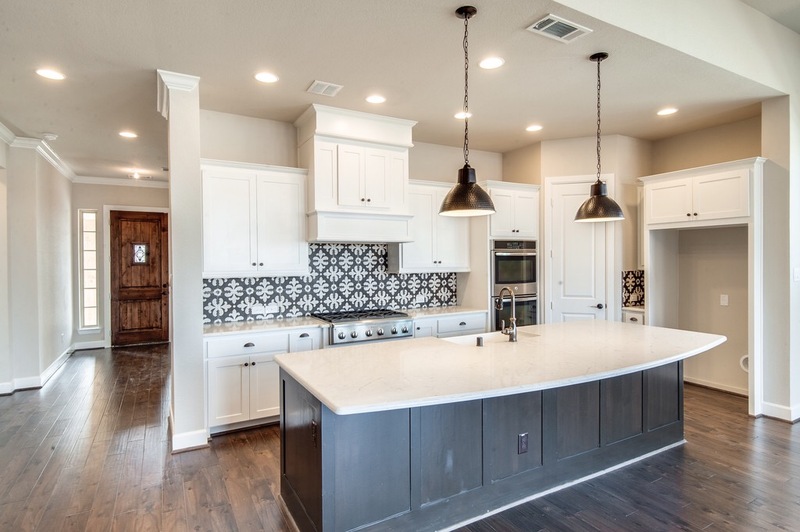 For more information on Lakewood at Brookhollow in Prosper or Darling Homes, Britton Homes or David Weekley Homes text or call Brad Holden today at (469)733-2723. Mustang Lakes in Prosper ISD is more like a Resort! Mustang Lakes sits on close to 700 acres on a site where thoroughbred horses were bred, raised and trained. Owned by a former city of Dallas mayor, it was known as Twin Eagles Farms and many of the horses went on to win significant purses at races all around the country. But as of today, there are 9 Luxury Builders currently building homes ranging from the $300’s up to more than $2 million. 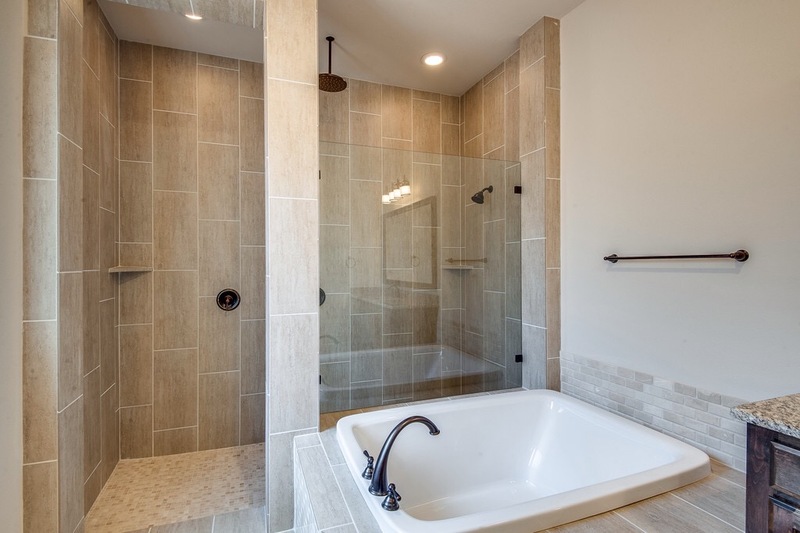 The builders are Highland Homes, Britton Homes, Coventry Homes, Dave R. Williams Homes, David Weekley Homes, Drees Homes , K Hovnanian Homes and Sharif and Munir. 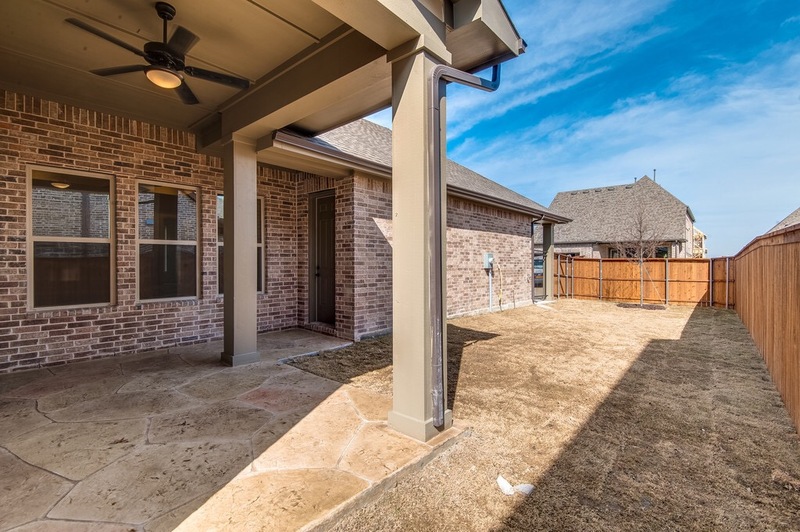 From a location standpoint, Mustang Lakes is conveniently located on the Prosper/McKinney border and only 3 miles North of Hwy 380. 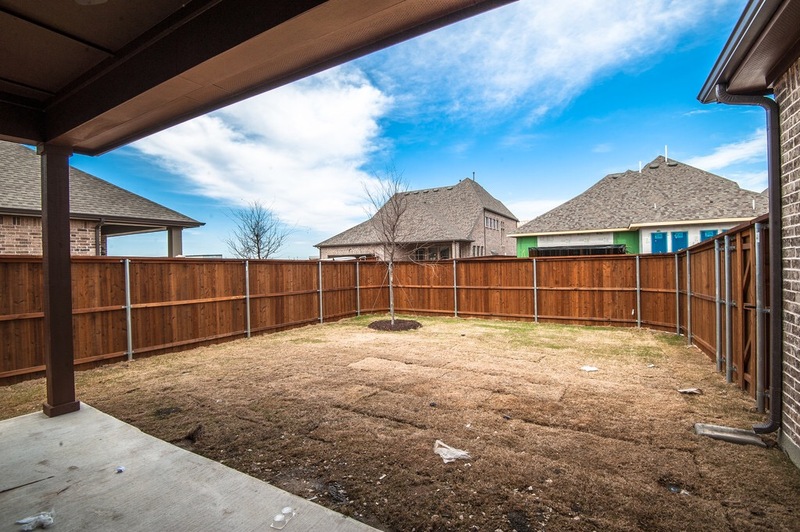 10 minute drive to the Dallas North Tollroad and this makes Mustang Lakes perfectly positioned away from the hustle and bustle and able to live in rolling hills and lakes. The developer is Cambridge Communities. Mustang Lakes will be number 7 for them in DFW. Other notable communities they have developed are Westridge and Creekside. They do put a tremendous amount of thinking about usability to make sure the community is able to sustain for a long time. The pools are stunning and laid out very well. They have a 20-acre Central Park with trails, mature trees, a lake, a play park and an island. This is not just an amenity center, it’s “The Club at Mustang Lakes!” See below the stunning pics of the entry, meeting rooms and state-of-the-art workout facility! Residents can use the Club everyday and you can even rent the rooms out for special parties etc. 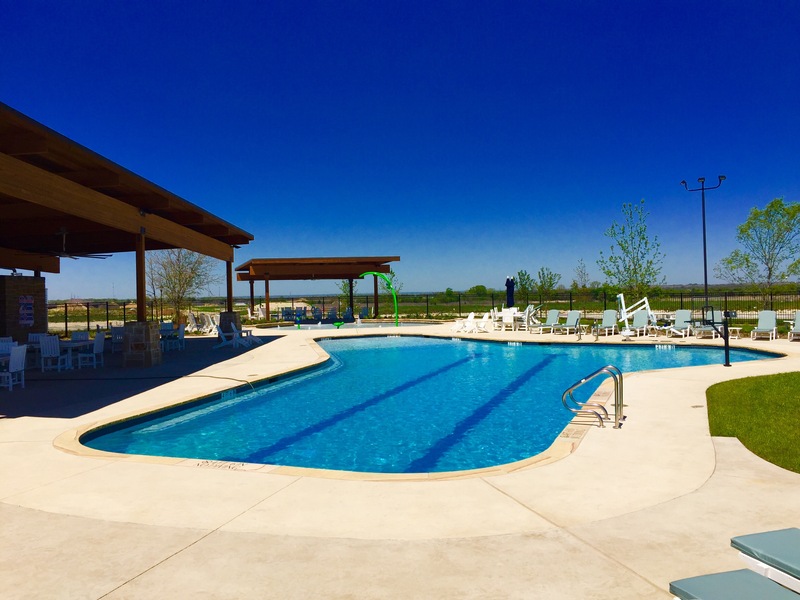 Mustang Lakes calls itself a new kind of Country Club. They also say that instead of a golf course (which could easily be done) but they wanted to give residents over 60 acres of open green space for everyone to enjoy! I forgot to mention the Club at Mustang Lakes is over 12,000 square feet inside with extensive outdoor verandas and courtyards, interior lounges, meeting rooms, party areas, a kitchen and the state-of-the-art fitness center overlooking the pool and a lake. 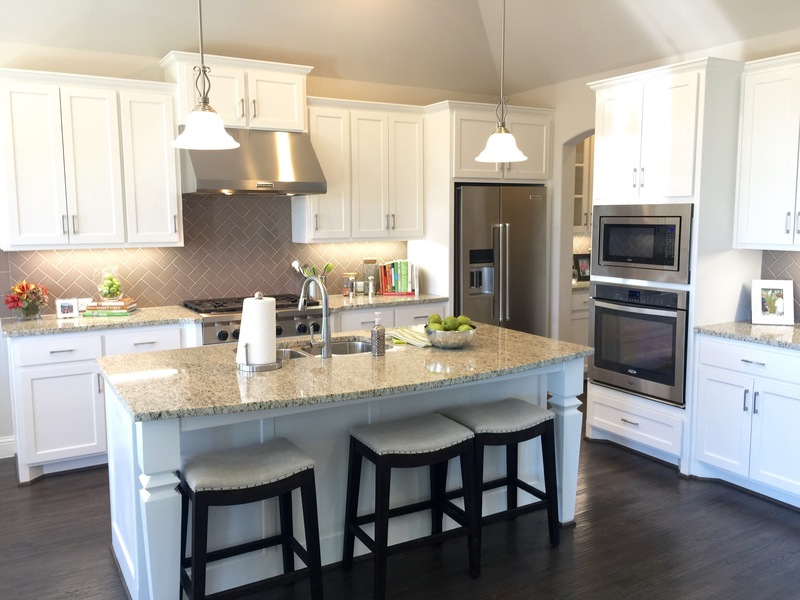 Of the many models, Highland Homes model the 267 caught my eye, so I took a peek in. 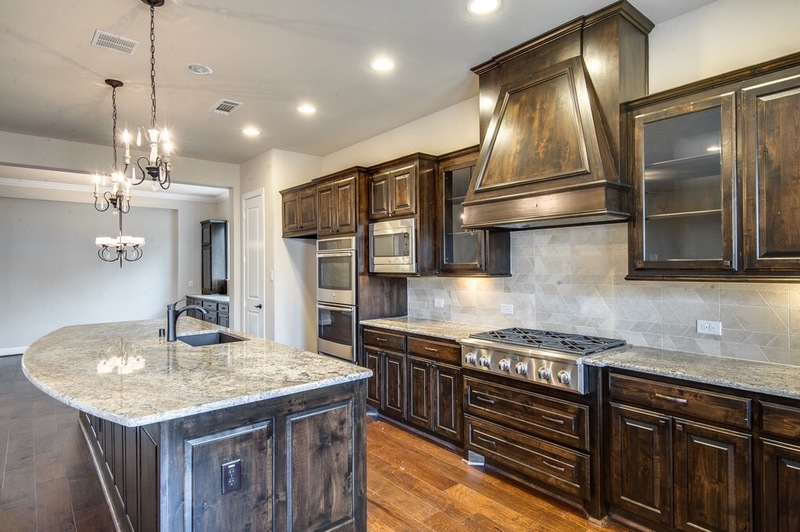 In Mustang Lakes, Highland Homes builds on the larger 74 foot wide and 86 foot wide homesites. The 267 plan immediately took my brain to the 269 model at Lawler Park which was the model. The layout is absolutely perfect! The two main differences I saw between the two layouts was this one was not so high soaring and grandiose and the price was WAY much better! 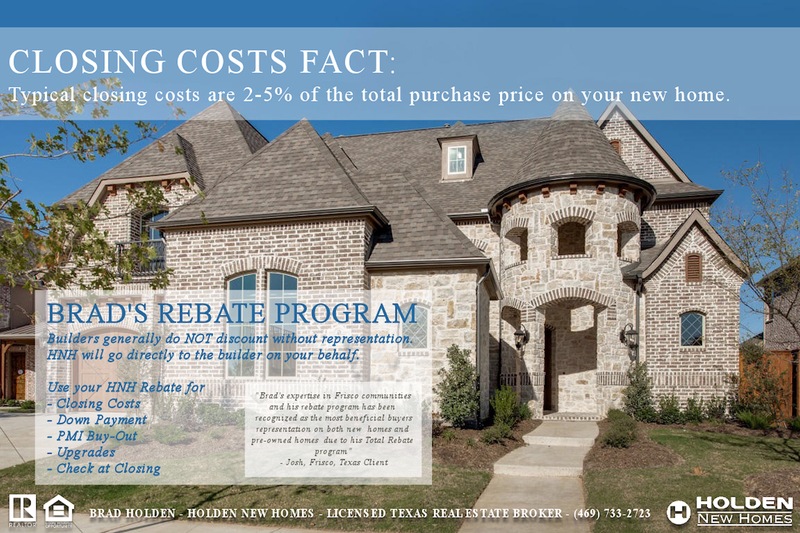 This plan in Frisco would cost you around $800,000 but here, with their incentives and my discount you would be closer to under $600,000!! That’s a deal! 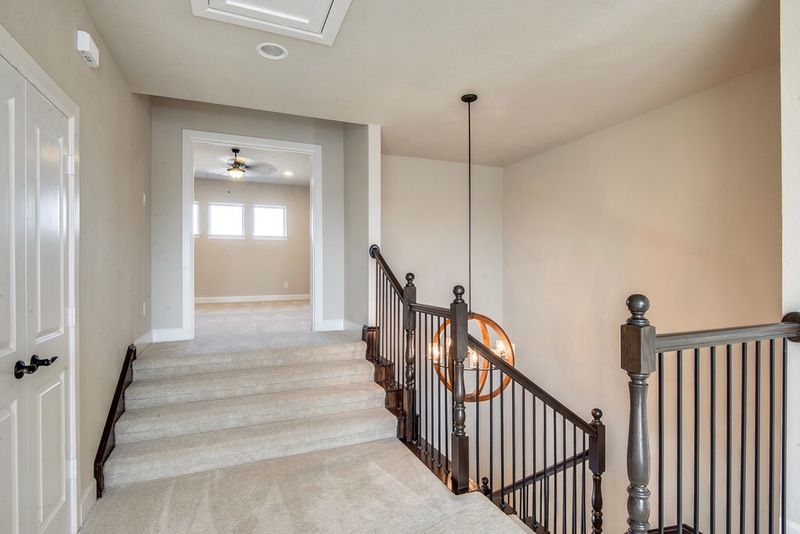 Mustang Lakes is definitely a very unique new development in its infancy stages which is always a great time to get in for the lowest prices and availability of Prime Lots! 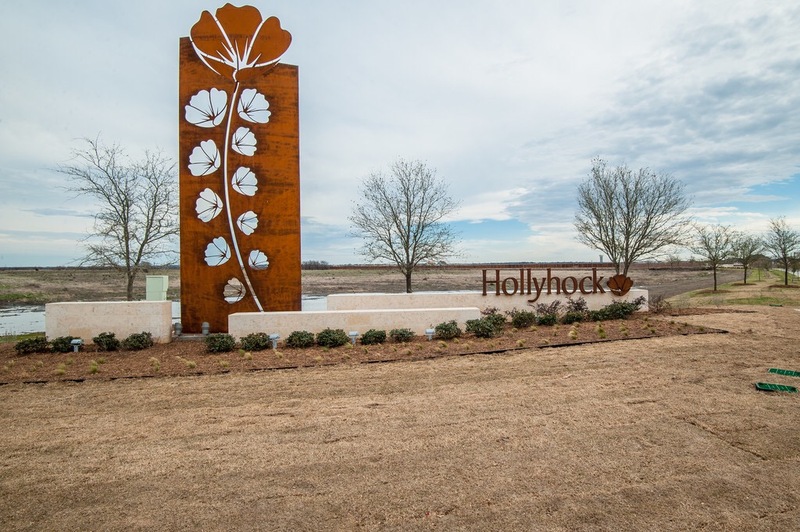 Super Affordable David Weekley Homes in Hollyhock Frisco! 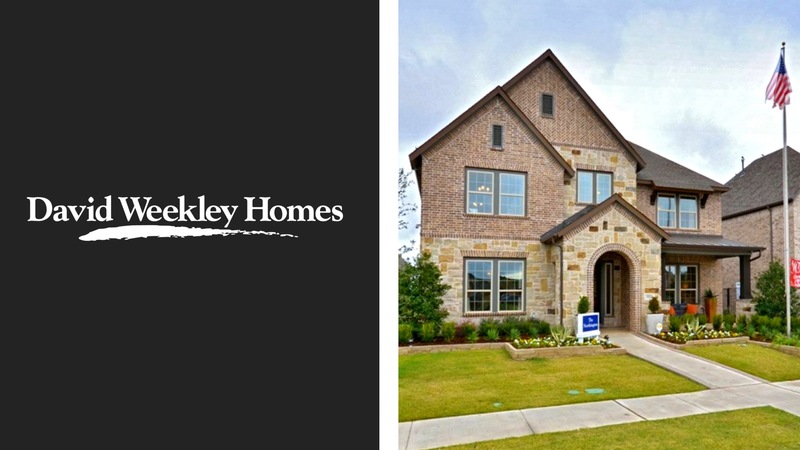 David Weekley Homes at Hollyhock in Frisco has three amazing ready to move in homes – And at fantastic prices! 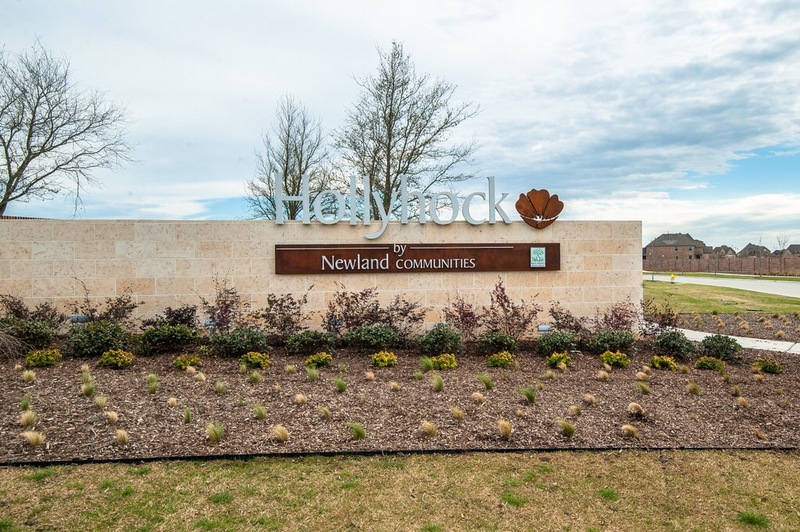 The gorgeous community of Hollyhock by Newland Communities is truly breathtaking! Now let’s talk Ready to Move In! 3449 square feet, 4 bedrooms, 3.5 baths, 2 covered porches, hardwood floors, exotic granite, huge pantry and game room! This home is priced at $537,981 which is a great deal! My clients will get this even lower! Call or text me today at (469) 733-2723 and let’s schedule a tour! The Deaver Plan by David Weekley Homes. 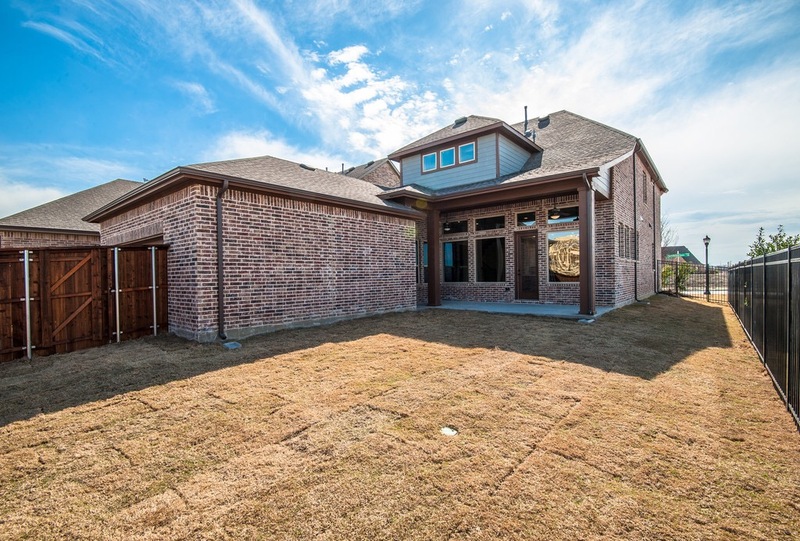 4 bedrooms, 3.5 baths, 3161 square feet, master and guest retreat downstairs, stainless appliances, great storage, wood flooring and exsquisite upgrades throughout! 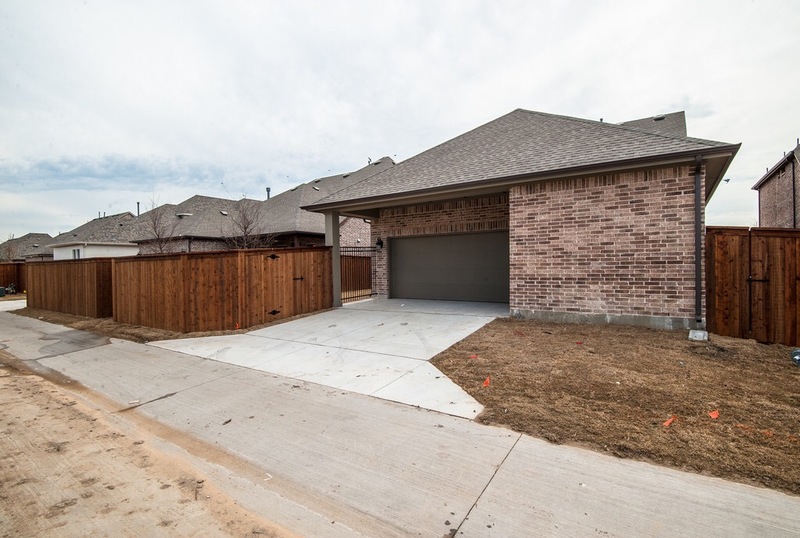 This home is priced low at $516,923! My clients will get this even lower! Call or text me today at (469) 733-2723 and let’s go see this home! The Northington Plan by David Weekley Homes. 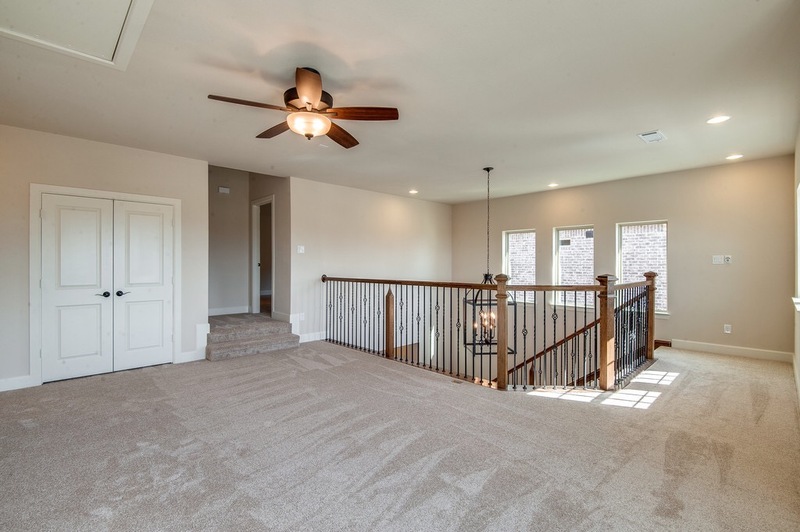 3323 square feet, 5 bedrooms, 4.5 baths, model floorplan, master and guest retreat downstairs, game room, bonus room, upgraded granite, wood flooring and great storage! This home is priced low at $539,917, but my clients will get it even lower! 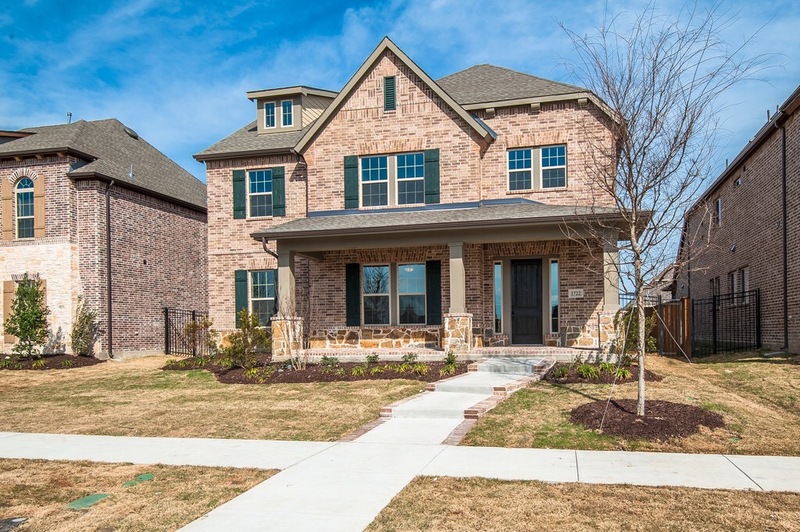 Call or text me today at (469) 733-2723 and let’s go see this beauty at Hollyhock Frisco! Prairie View in Frisco entrance. 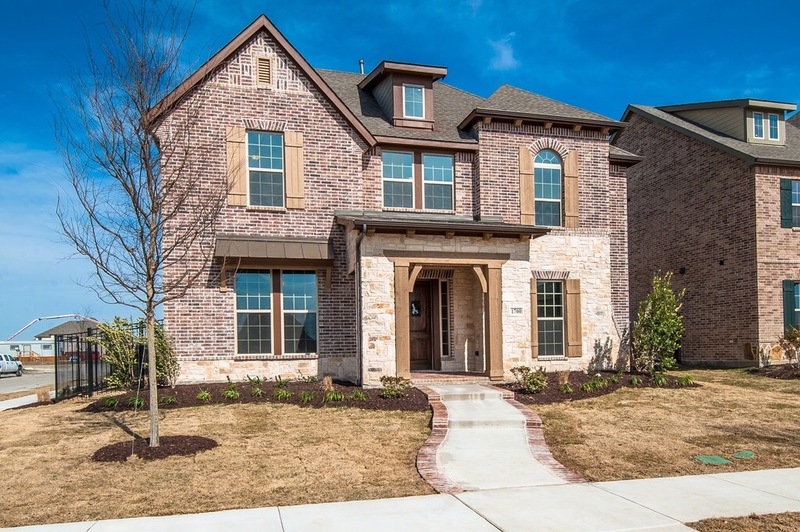 Prairie View in Frisco is a 163.5 acre new home community with current award-winning builders American Legend Homes, Highland Hones and David Weekley homes. 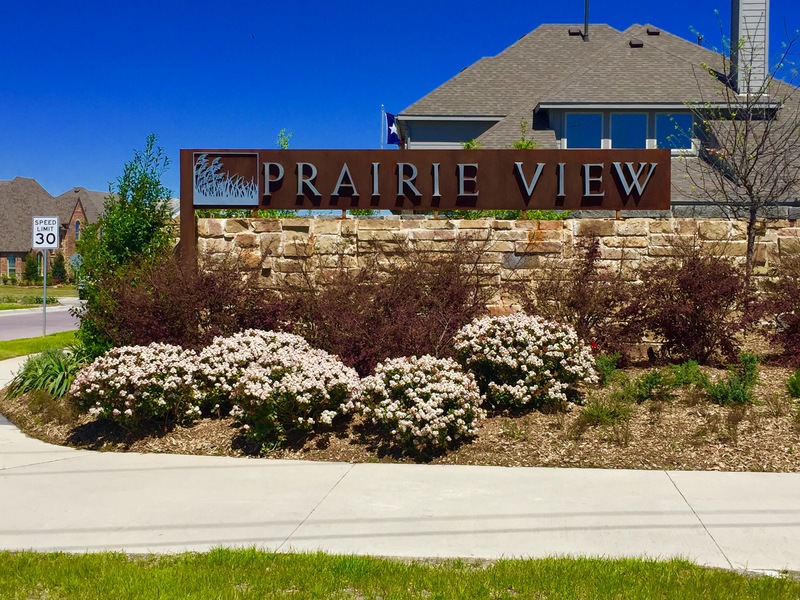 Prairie View in Frisco opened around November 2015 and they are selling homes like crazy! Normally, when any community opens in the winter months the pace is extremely slow even in a good housing market. This is NOT the case here! I’m pretty sure that location, amenities, affordability and luxury builders have a lot to do with the demand here. So let’s run through these for Prarie View in Frisco. Prairie View is located North on Coit Road right after Panther Creek. I would say it’s around 10 minutes North of Highway 121 and maybe 7 minutes to Dallas North Tollroad. Also, amenities such as grocery stores, gas stations and restaurants are also around 6 minutes away in a couple different directions. 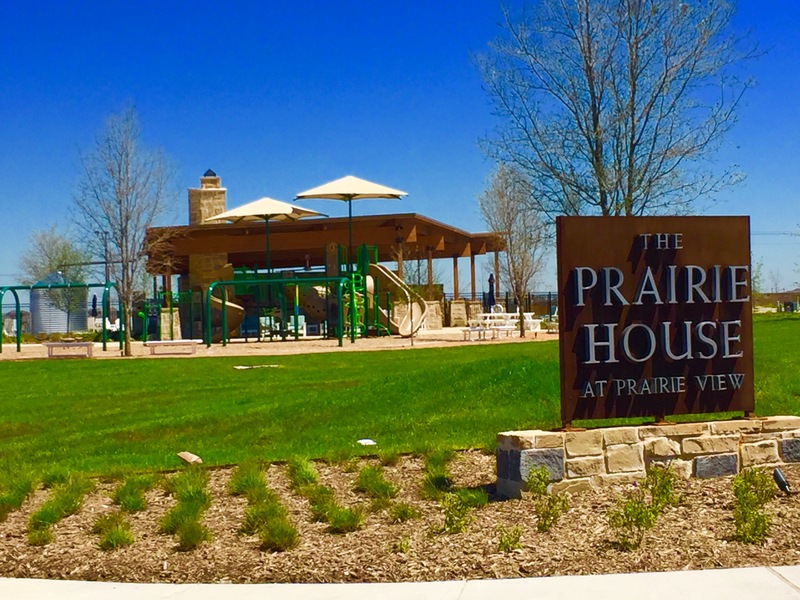 Prairie View boasts it’s 4,500 square foot amenity center dubbed the “The Prairie House.” Along with a fantastic park and playground, The Prairie House has an outdoor fireplace, resort style pool with a tanning ledge, underwater bench and a splash pad for the little ones. It’s ideal for anyone wanting to get away from the daily routine of our busy lifes. 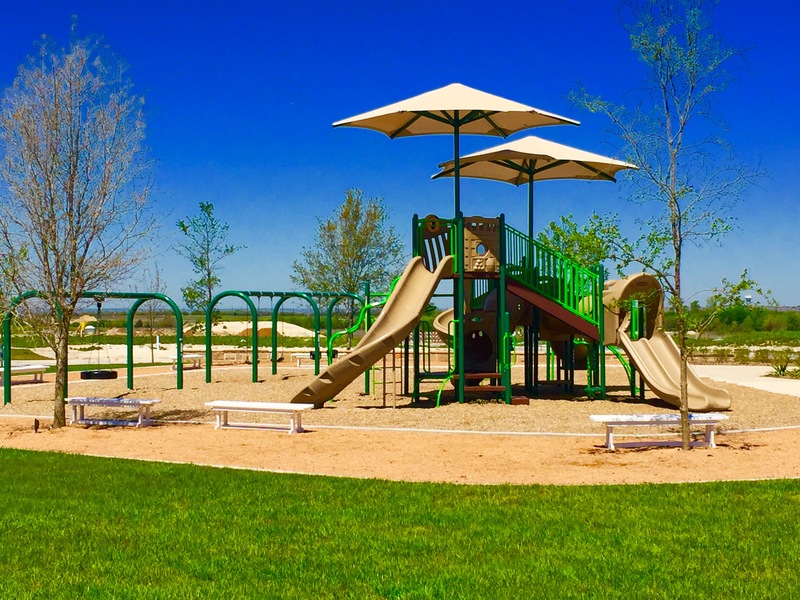 Prairie View also has “pocket parks” throughout the community along with winding trails designed for jogging, biking and casual strolls. There is also acres of green belts for practices or pick up sports games! The community is set up in Phase 1 (which they are currently in), and Phase 2a and 2b. 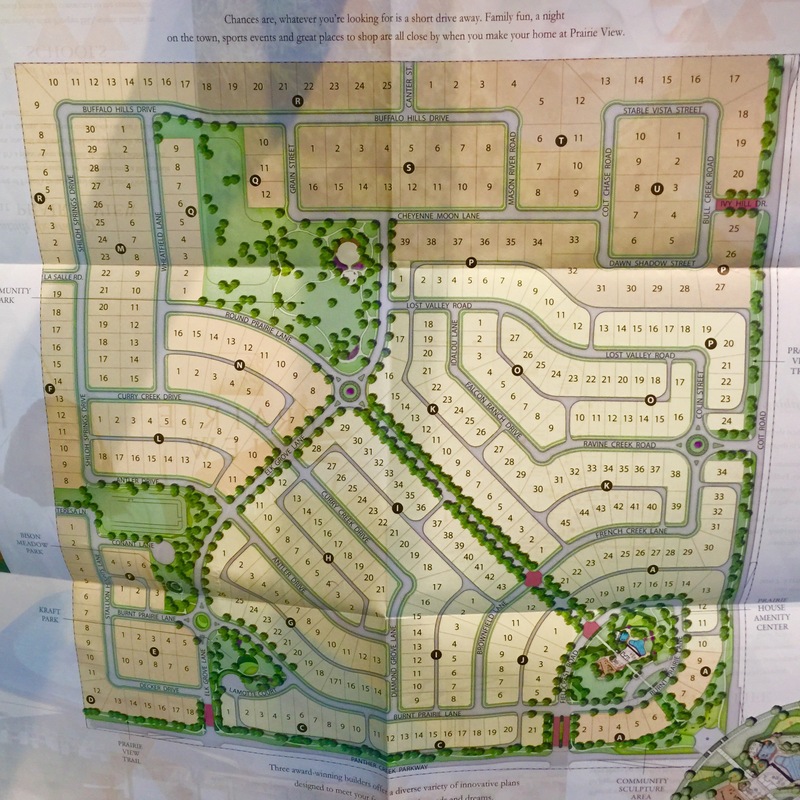 Highland Homes and David Weekley Homes currently have the 55 wide lots and American Legend Homes has the larger 65 foot wide lots. 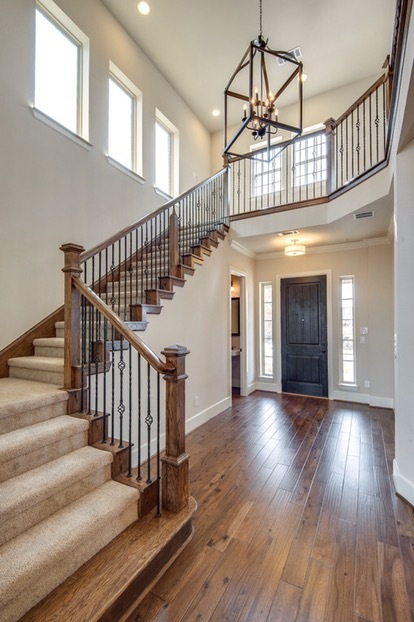 All 3 builders are easily in the top 10 for builders in DFW and have been there for a while. Looking at the lot size and each builders prices based on square feet, to me the larger lots at a lower base price seems to be a better deal with American Legend Homes with what they include in their base price. 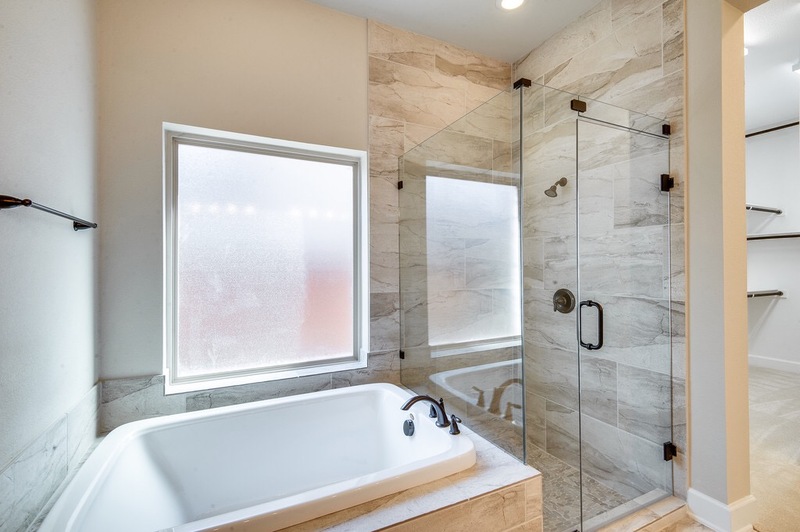 Also, American Legend Homes is the only builder that is “semi-custom.” What that means is they will allow some small modifications, when pretty much every builder in this price point will NOT allow modifications. But overall, Highland Homes and David Weekley Homes have their advantages but they are just not leading at Prairie View in pricing. In the first Phase for American Legend, they have a total of 73 lots and have sold 20 as of yesterday, so some of the prime lots are still available. Highland and David Weekley do have a couple left that would be considered oversized or premium as well looking at their available lots. 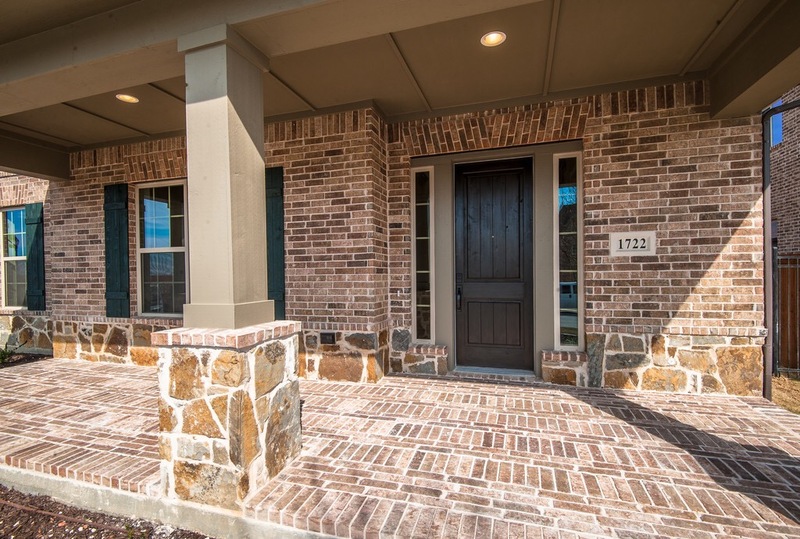 For more on Prairie View in Frisco text or call Brad Holden today at (469) 733-2723. American Legend, Highland and David Weekley all build beautiful homes and my clients always have great things to say about them! 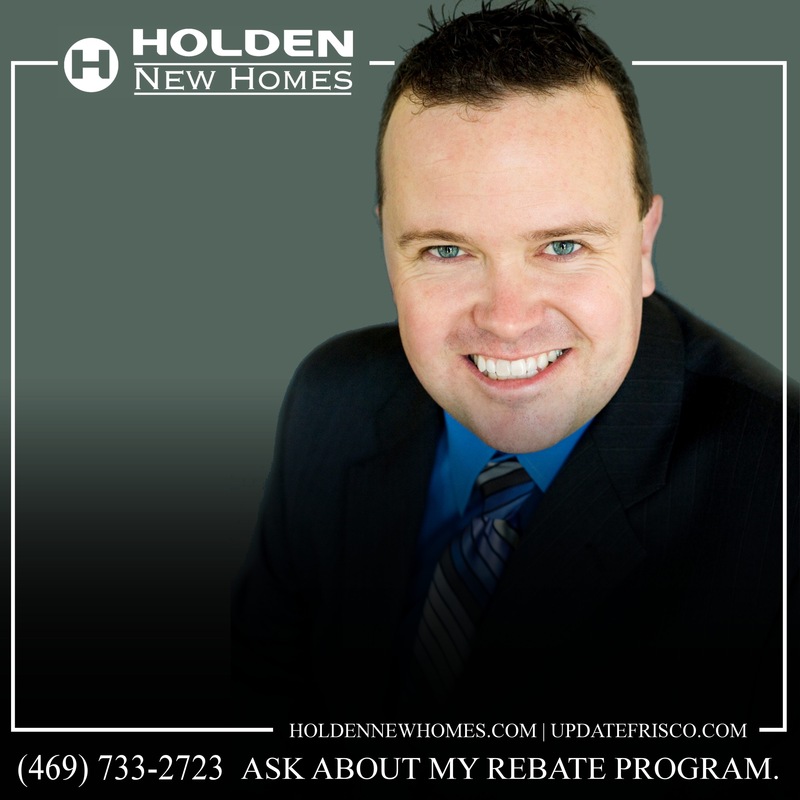 And don’t forget to ask me about how I can save you thousands at contract with price reductions, additional amenities, lot premiums, closing costs or cash back rebates that you will not receive if you don’t use a realtor. Ask the builder before you sign!